The purpose of our church is to teach the Word of God for the extension of Christ’s Kingdom; to administer the sacraments; to educate its children; to bury its dead; and to this end to sustain its pastors and teachers. The Lord has blessed us abundantly as we have sought to be faithful in declaring His Gospel here at Our Savior Evangelical Lutheran Church. Worship is focused on Christ and the gifts He brings to us through Word and Sacrament. This is evidenced through confessional practice and liturgical worship. 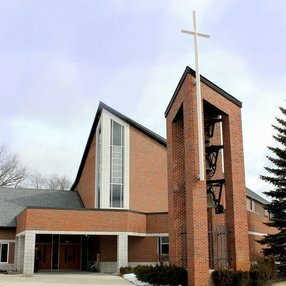 Our church serves its members, community, and beyond in a variety of ways including: Our Savior Evangelical Lutheran School (daycare and pre-school through eighth grade), youth programs emphasizing mission opportunities, adult Bible studies, Vacation Bible School, and MOPS (Mothers Of Preschoolers). The Lord has blessed us with many talented workers, both staff and lay people, who generously share their gifts. 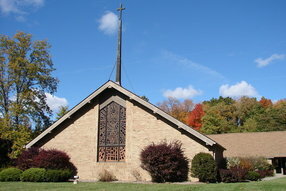 Our Savior Evangelical Lutheran Church accepts and confesses the canonical books of the Old and New Testaments as the revealed Word of God, verbally inspired, and the symbolical books of the Evangelical Lutheran Church as contained in the Book of Concord of 1580, to be a true exposition of the Word of God. Hence, no doctrine shall be taught nor tolerated in this congregation which is in any degree at variance with the following symbols of the Evangelical Lutheran Church: The Apostles' Creed, The Nicene Creed, The Athanasian Creed, The Unaltered Augsburg Confession, The Apology of the Unaltered Augsburg Confession, The Smalcald Articles, Dr. Luther's Small Catechism; Dr. Luther's Large Catechism, and The Formula of Concord. We believe that holy worship is God’s action of gathering His believers together to receive from Him the gifts He has for them in Word and Sacrament. We respond to His merciful action by using the same language of the Holy Scriptures that He has given. Because Jesus Christ and the Gospel gifts He brings through Word and Sacrament are to be the focus of worship (that is, worship is to be “Christocentric” – founded on Christ and His action, as opposed to “anthropocentric”—beginning with and focused on man and his action toward God), our worship takes a particular shape. The worship life of Our Savior has been and will remain scriptural in substance, evangelical in voice, historic and liturgical in practice. We have a warm, loving, and welcoming community to those that have been with us for a long time or those who are visiting us for the first time. Each Sunday adult Bible study and Sunday School are offered at 10:00am. A new member class for those inquiring about who we are and what we believe, or if you would just like to brush up on Lutheranism is offered at 12:30pm right after the Divine Service. We have many opportunities for you to learn more about who we are and what we believe. We have Sunday school, adult Bible study, and youth group on Sunday's. During the week on Wednesday's Pastor Heckert is teaching a study on the Old Testament called "The Grace of God in the Old Testament." Rev. Christopher Ian Thoma, son of Edwin Charles and Sharon Marie (nee Miller) Thoma, was born on 19 October A.D. 1972 in Danville, Illinois and was baptized into the Christian faith in the summer of 1975 at Trinity Lutheran Church in Danville, Illinois. He has one older brother (now in eternal glory with Christ), Michael Bruce Thoma, and one younger sister, Shelley Joyce Thoma. After graduating from Morton High School in 1990 he entered into the Elementary Education program at Concordia University in River Forest, Illinois. While at Concordia, in addition to his studies in Education, he pursued the Pre-Seminary track, which included the formal study of Lutheran Theology and Biblical Languages. He also sought the Director of Christian Education (D.C.E.) degree. He graduated from Concordia in the autumn of 1995 with a Bachelor of Arts, completing a double-major in Education and Theology as well as receiving synodical certification as a D.C.E. 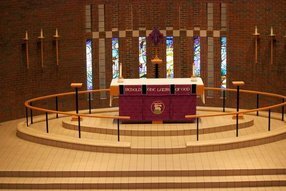 He served a one-year internship at St. Mark Lutheran Church in West Bloomfield, Michigan under the supervision of Reverend Jon D. Vieker and upon completion received a call to remain in service there full-time. He served at St. Mark until February of 1998 when he received a call to serve as D.C.E. at Hope Lutheran Church in Levittown, Pennsylvania. That same year, he received a call to serve as D.C.E. at Our Savior Evangelical Lutheran Church in Hartland, Michigan. He accepted the call and served the congregation in Hartland as Deacon until his ordination into the Office of the Holy Ministry in December of 2007. 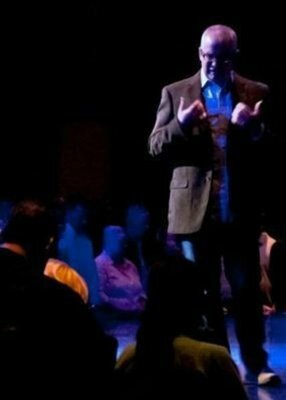 In the autumn of 2003, Pastor Thoma began commuting to Concordia Theological Seminary in Fort Wayne, Indiana as a full-time student while continuing his full-time duties as Deacon at Our Savior. His declared fields of study were Exegetical Theology and Pastoral Ministry and Mission. He served his fieldwork and vicarage requirements in his home congregation under the direct supervision of the late Reverend William E. Thompson. Pastor Thoma is a published author, poet, and hymn writer. In 2000, he authored the liturgical resource collection for parents and children entitled Kids In The Divine Service published by the Commission on Worship of the Lutheran Church-Missouri Synod. In 2008, he published Feeding the Lambs: A Worship Primer for Teachers of Children. He authored five essays for the Lutheran Service Book Hymnal Companion (Commission on Worship, 2011), four Bible studies for the Lutheran Service Book Hymn of the Day Bible Study Series (Concordia Publishing House, 2011), and several pieces for Concordia Pulpit Resources (2011). He is presently at work on a children’s fantasy/adventure book entitled The Heroes of Ganchimi, a children’s book dealing with the theology of Eschatology, entitled Right Now, But Not Yet. From 2003 until 2010, Pastor Thoma has traveled overseas to organize and facilitate Bible camps led by high school youth for disadvantaged children from local orphanages or the inner city (St. Petersburg, Russia; Klaipeda, Lithuania. These projects comprise the international mission face of Our Savior’s Youth In Missions project. Youth In Missions consists of local, national, and international service opportunities coordinated for Junior High, High School, and College youth and adults. Pastor Thoma is married to Jennifer. They have been blessed by the Lord with four children, Joshua (age 11), Madeline (age 6), Harrison (age 4) and Evelyn (age 2). Go here? 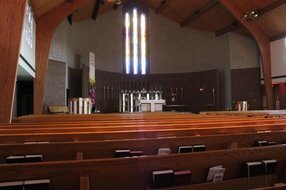 Tell us why you love Our Savior Evangelical Lutheran Church. Visited? Tell us what a newcomer can expect. 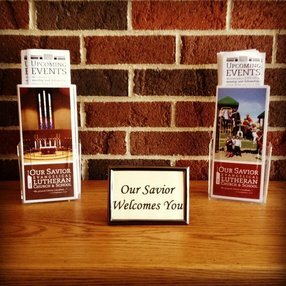 Enter your email address to receive an informative welcome email from Our Savior Evangelical Lutheran Church.